easyJet is introducing a 'cabin bag guarantee', from next Monday (2 July) which will reduce the size of hand luggage some customers may be allowed to keep with them on the flight. Don’t get too excited. Eurostar might be getting competition on the cross Channel rail. However this is not likely to happen until 2016, due to technical problems with the actual trains. 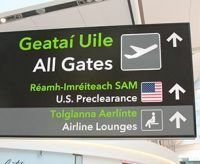 The benefits of US pre-boarding customs and immigration facilities (passengers are treated as domestic upon arrival in the USA) are being seen by Dublin Airport (DAA) with transatlantic traffic up by 11% so far this year. Last week Finnair began flights to Hanoi and Xi’an from its Helsinki hub. The airline will operate services to both cities three times a week throughout the summer schedule season, until 26 October for Xi’an and 27 October for Hanoi. Xi’an is now a technology centre but also the home of the Terracotta Army. 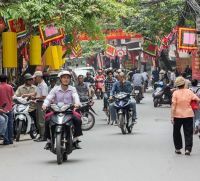 Hanoi, in the north of Vietnam, is the country’s capital. Finnair has confirmed it will continue its service to Tel Aviv during the winter season. 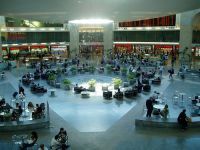 Starting November Finnair serves Tel Aviv with two weekly flights on Mondays and Fridays, as during the ongoing summer season, but the schedule is modified to increase connectivity from European and Asian flights. 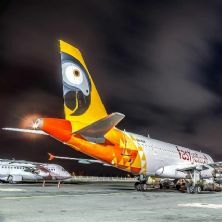 Ambitious London AIM listed fastjet (FN see BTN 29 April http://www.btnews.co.uk/article/6220), has been granted permission to launch international flights from Tanzania to South Africa, Zambia and Rwanda marking a major step towards establishing the first-ever pan-African low-cost network. Commenting on the news, Ed Winter, CEO and Chairman of fastjet, said: “This is a monumental day in fastjet’s history and brings us closer to our goal of becoming Africa’s first pan continental low-cost airline. To date our growth has been inhibited by lack of international routes in our network. We have expended huge effort over the past six months in obtaining these rights and we can only thank the Government and population of Tanzania who have lobbied hard to allow us to gain access to the bilateral rights to operate to these countries. We will soon announce launch dates for flights to Johannesburg, Kigali and Lusaka from Dar es Salaam”. 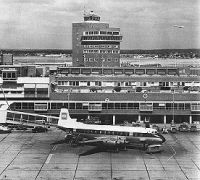 With all the high profile fuss being made it is amazing to think that any recommendation (let alone decision) regarding the future of major airports in the United Kingdom will not be made until at the earliest summer 2015. ‘Davies’ The Airport Commission closes for submissions on Friday 19 July, with all manner of interested parties making their recommendations, many with great gusto and noise. 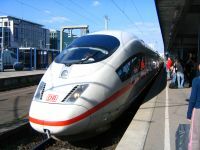 To make things even more complicated a report by the New Economics Foundation says HS2 is an unjustified gamble at £33bn and that money would be better spend on a “wider range of transport investments”. This has been dismissed by the Prime Minister who sticks to his guns right or wrong, typified by the third runway cancellation, which could of course be reversed by the Commission. With no Crossrail station planned at London City Airport one must question the skill of the railway planners who make up some of the 18 non-aviation ‘experts’ on ‘Davies’. The Mayor of London, Boris Johnson, thought to be an aspirant Prime Minister, and the number one promoter of a new “world class” airport in the Thames Estuary has used his journalistic skills for a major piece in the London Evening Standard newspaper promoting his 2020 Vision for London. As predicted by BTN the Airbus A350XWB prototype finally did make an appearance at the Paris Air Show last week, but on the Friday (21 June), when virtually all the press, and most of those that count, had gone home. The ‘big twin’ was spotted around 13:20 (lunchtime at those chalets that had not closed with executives homebound) and made a single overpass at around 600ft. It will now go on record as making it first ‘public’ debut at Paris 2013, rather than the ‘private’ appearance at its home base at Toulouse a week earlier. 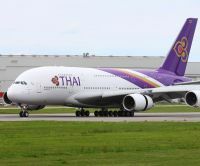 Thai Airways says it plans to operate the Airbus A380 on the Heathrow – Bangkok route towards the end of this year following delivery of its fifth and sixth aircraft. The airline says it will be more specific once arrival dates are confirmed by Airbus. 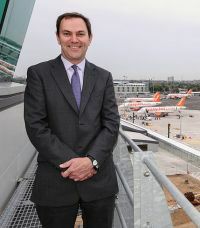 Southend Airport has welcomed a fourth easyJet Airbus A319 at the same time as it has partially opened an extension to the terminal building, clearly a case of ‘work in progress’ that does not really have an effect on passengers in any way. The arrival of the new aircraft coincides with the introduction of flights to Berlin, Krakow and Newquay. easyJet now offers 13 destinations from the East London airport, Amsterdam, twice daily, said to be most popular. Spanish flag carrier Iberia (IB) has become unprofitable in all markets, including long haul, and its problems are critical, parent IAG said on Thursday raising more questions as to why British Airways amalgamated with the airline two and a half years ago with the Spanish economy already in a mess. IAG has also established a large non-revenue earning headquarters at the World Business Centre Heathrow, with, it is said, up to 50 staff, presumably to eradicate duplicated jobs at BA and IB. 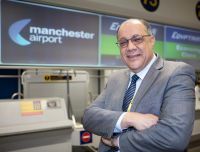 EgyptAir has expanded its network between the UK and Egypt with the start of a five times per week service between Manchester and the Egyptian capital, Cairo. Manchester is the airline’s 81st destination. Alison Chambers and Malcolm Ginsberg report, the Editor only staying for the Monday via Eurostar and RER. Once again there was chaos at Le Bourget station as the heavens opened up (and continued for the rest of the day). Two aircraft caught the eye at the 49th Paris Air Show – British Airways A380 and right at the other end of the scale the Flaris LAR 1 jet. 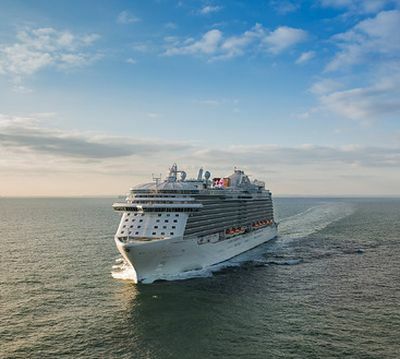 It has been a very busy few weeks for the cruise industry, particularly at Southampton with the maiden appearance of Norwegian Cruise Line’s Breakaway, Oceania’s Marina overnighting and the Duchess of Cambridge naming Royal Princess (see below). Cruising is now the most significant growth sector in the UK travel industry. New figures released by global IT supplier Amadeus show the depth of UK travellers’ appetites for cruise holidays, with many being tempted by far-flung destinations and the thought of exploring the world. A representative survey of over 2,000 UK adults was conducted in May by YouGov on behalf of Amadeus UK and Ireland. 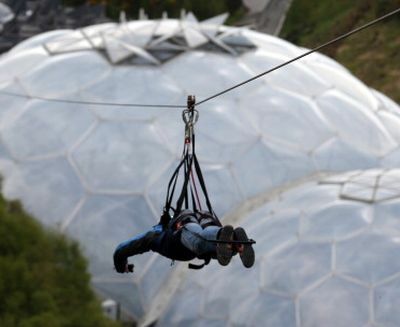 We don’t have an image of easyJet making its inaugural landing at Newquay Cornwall after a 45-minute flight from Southend but what we do have is the airline's enigmatic press officer Dagmar Dua leading a posse of nine (out of the 10 media types) on a 660m sortie 50m up across the Eden Project’s biome eco halls. 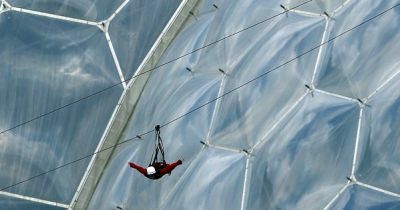 She reached a speed of nearly 40 miles per hour on Europe’s latest speed thrill, Skywire. The Airbus A319 landing at nearby St Mawgan was more sedate. 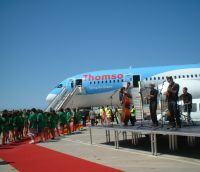 Last Friday saw charter airline Thomson Airways become the first British carrier to put the Boeing 787 Dreamliner into service, replacing a Boeing 737 on a flight out of Gatwick to Mahon (Minorca). British Airways will officially unveil both its Airbus A380 and Boeing 787 Dreamliner to the world at large on the morning of Thursday 4 July at Heathrow. The airline has presently 12 A380s on order and 36 Dreamliners in three sizes, each designed for specific ranges and capacity. The European Commission has cleared Delta Air Lines to buy a 49% stake in Virgin Atlantic, the European Union's competition watchdog said on Thursday. The 19-member Star Alliance, which includes Lufthansa and Singapore Airlines, has officially welcomed EVA Airlines of Taiwan as a formal member. 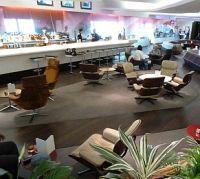 London’s Heathrow airport is better located for passengers, business and jobs than a new hub airport at Stansted or in the Thames Estuary, according to a new analysis. The report, entitled ‘Best placed for Britain’, says that expanding Heathrow is the quickest way for Britain to get ahead in the global race, connecting the UK to growing markets around the world faster and at less cost to the taxpayer than any other hub option. The report was commissioned by Heathrow as part of new evidence to present to the Airports Commission under Sir Howard Davies. The Airport Operators Association and the British Air Transport Association held their very well-supported summer reception on the terrace of the House of Commons last week. 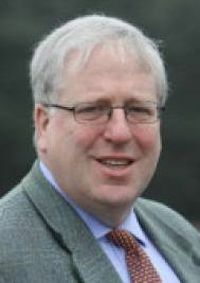 Hosted by Stewart Jackson MP, the Guest of Honour was the Hon Patrick McLoughlin MP, Secretary of State for Transport. 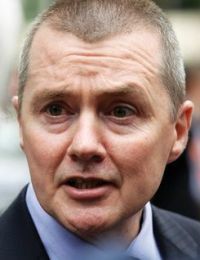 The Shadow Secretary, Maria Eagle, was also in attendance and gained positive comment by Mr McLoughlin, a rare cross-party observation from a popular Minister. The new Terminal 2 at Heathrow will be officially named in honour of Queen Elizabeth II when it opens next year. Viewers to last week's BBC 2 series will have heard a commentator pointing out Windsor Castle on the nearby skyline. The Duke of Edinburgh, in his time as an aviation buff, noted on one occasion the nearness of his home to the airport.